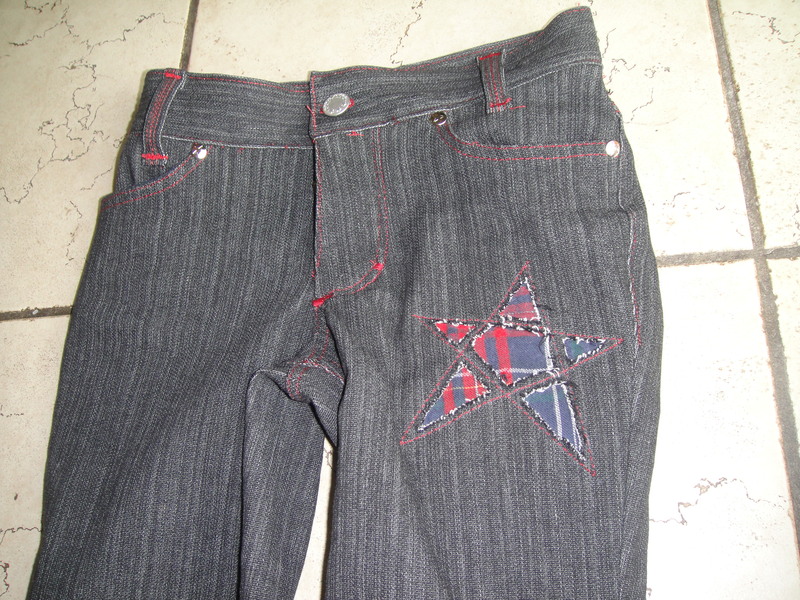 Jeans front finished---rivets and belt loops! The rivets went in quite well (it’s much easier to hammer metal stuff in now I have a concrete garage floor to work on!). They did need to be shortened, but they seem to hold well (I’ll get back to you about whether they’re STAYING on in a few months). I experimented with not shortening one, and regretted it—it went together and didn’t damage the caps, but the inside cap kind of skewed off to the side, so the inside and outside caps are offset. You can’t tell from looking, of course, and it feels solidly attached… but not desirable. Oh, and I finally located and tried out my double needle for the belt-loops and hems! I bought it last fall, just to have a double needle, despite my disastrous results the first time I tried to use one (the bobbin threads got tangled and when I tried to raise the needle one of the tips was getting bent funny and snapped off. This was about five minutes into my first attempt to use it). But for whatever reason this time—better thread, auspicious alignment of the planets—it gave me not a hint of trouble this time. I did take the advice I read somewhere to put the spools on so they spool out the thread in opposite directions (eg. one clockwise, the other counterclockwise). Maybe that made all the difference. No idea. Anyway, aside from the fact that the double needle I have wasn’t purchased with jeans in mind and is a bit narrower between the two tips than the rest of the top-stitching, it worked perfectly. I did the hems with it (the zig-zag from the bobbin makes it stretchy, too, even on a regular straight stitch!). 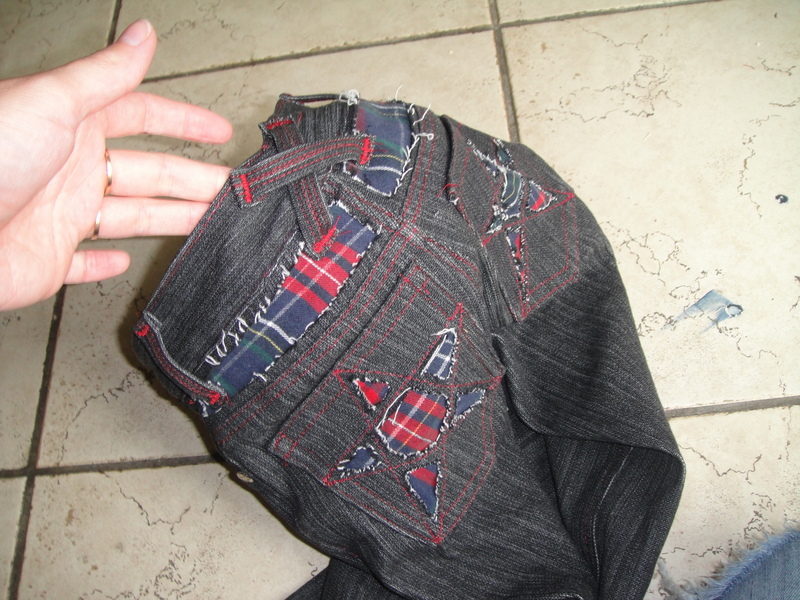 I wound up doing two rows of the double stitching on the belt-loops (the zig-zag underneath does a really nice job of finishing the triple-folded bottom surface), and I was worried that they were too uneven, but once cut into the short lengths they looked fine. What a great great great job!